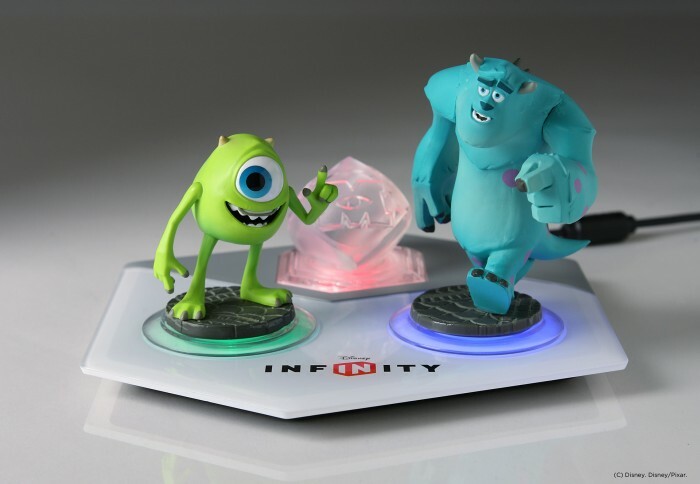 Disney Infinity is a different breed of game, similar to Activision’s über popular Skylanders franchise, it’s a video game with collectible figurines attached to it. These figures are placed on the Infinity Base, then magically come to life on screen. 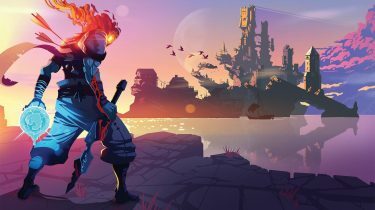 To some, it may seem like a cash grab, and that would be true if the game were utter garbage. But thankfully, that’s not the case. 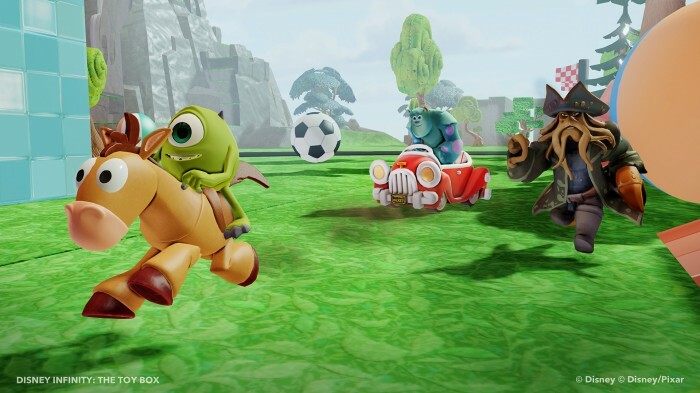 Disney Infinity is a charming romp through some of the most beloved fictional lands of the past several decades. At its core, Disney Infinity is a sandbox (or toy box) game, with different themed adventures spanning 6-8 hours each. It can be a costly investment, and will set you back $75 for the starter pack, which includes the game, the Infinity Base, a play set, a power disc, and 3 characters; Mr. Incredible from The Incredibles, Sully from Monsters University, and (Captain) Jack Sparrow from Pirates of the Caribbean. The play set includes adventures from each of the corresponding films, so initially you’re looking at 18 – 24 hours of game play, and that’s without even touching The Toy Box (more on this later). Each of the adventures in the starter pack are unique. In Monsters University, you set out to prove that MU is the superior school by pranking and competing with neighbouring students of Fear Tech. The Incredibles have to stop Syndrome and his giant robots from destroying Metroville. And Jack Sparrow sets sail to defeat Davy Jones, once again. 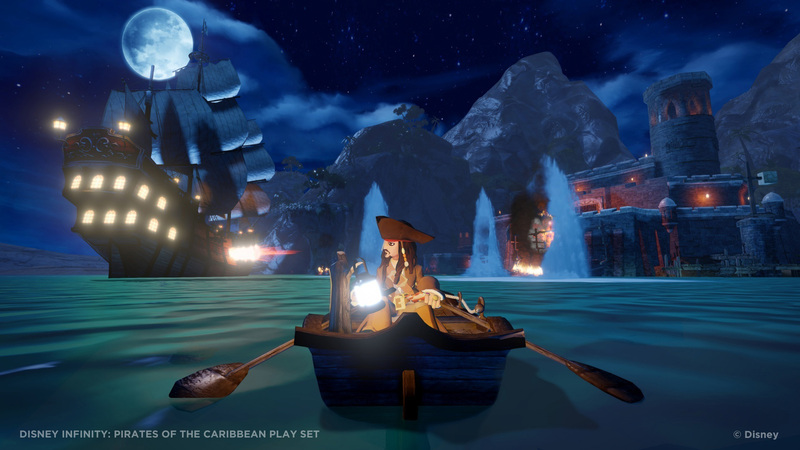 I’ve only spent a couple hours playing by myself, the rest has been split-screen co-op with my 5 year-old daughter Addison, and we’ve both had a blast playing each of the starter pack adventures, although my favourite would definitely be Pirates. It allows you to scour islands for treasure, and explore the open ocean while battling other pirates and the British royal navy. The naval battles play surprising well, and reminded me greatly of those in Assassin’s Creed III. My daughter on the other hand, thoroughly enjoyed playing as Randy and Mike Wazowski in Monsters University. Items and gadgets are collected in the adventures, for use in the Toy Box. Some are purchased with the game’s currency, while others are found in prize bubbles scattered through-out. Stars are awarded for completing objectives, as well as levelling up characters, which then translate to a “spin” in the Toy Vault; a slot machine which unlocks even more Toy Box items. So, what is the Toy Box? Essentially, it’s a blank slate for creation. The items that you unlock while playing the adventures can be used here, and the options are pretty quite vast. It’s not super complex and advanced like LittleBigPlanet. There are some short tutorials to show you the ropes, but it honestly only takes a few minutes to figure out what’s what. My daughter and I have spent several hours creating our own toy boxes, and experimenting with different things. Along with your own toy boxes, there are pre-made downloadable toy boxes which include items from other play sets that you might not otherwise have access to. While you can’t edit toy boxes that contain items you don’t own yourself, you are able to jump in and have fun with them. Addison was ecstatic when she stumbled upon a bunch of animals in one of the downloaded toy boxes, including several colour variations of Bullseye from Toy Story, which is ridable, as you would imagine. There’s even a race track toy box, where you can control some of the characters from the Cars films, without evening owning the figurines. As I’m sure you noticed, I’ve already acquired more than the starter pack, which was actually necessary to play co-op with my daughter. You see, characters can only be used in their corresponding story. So, you can’t go bringing (Captain) Jack Sparrow into Metroville, for example. I actually needed to pick up 3 more characters so I could play with my daughter. Thankfully, there is a 3 pack available at a reduced cost (cheaper than buying 3 individuals), which include one character from each of the starter pack adventures. Honestly, I wasn’t the least bit disappointed when I discovered how this worked, as I had planned on picking up at least all of the Monsters University characters anyway. The figurines, which retail for $12.99 each in North America, are very well made and would be a great addition to any geek’s shelf. The fact that many of them have unique abilities in the game, make it more difficult for someone like me to keep my wallet in my pocket. For example, while playing The Incredibles, I had a tough time fighting numerous robots at once as Mr. Incredible. Where as my daughter played as Syndrome, and was able to pick up any robot with his zero point energy beam and hurl them at others, destroying multiple robots in one go. All of the characters from The Incredibles possess the same powers in the game as they did in the movie. Providing further incentive to collect each of the figurines, there are chests scattered through-out Disney Infinity that can only be unlocked by a character portrayed on the front. In each adventure, there’s a large vault door which requires each character from the given franchise to activate before it will open and reveal a themed Toy Box. While there’s plenty of fun to be had playing Disney Infinity with the starter pack, you’re constantly being reminded that there are other characters to buy, and nudged in that direction. 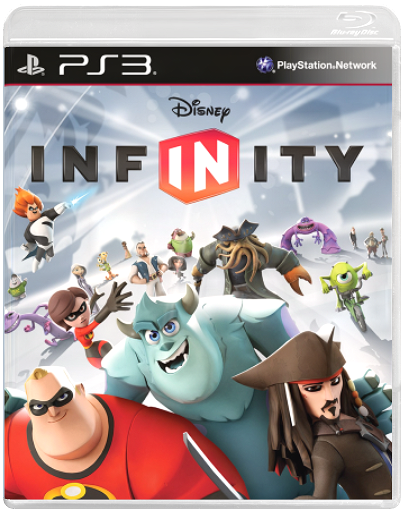 I ended up buying Disney Infinity for PS3 for no other reason than it’s the console Addison uses the most. She’s huge into LittleBigPlanet, and I can see us hanging onto the PS3 long after the PS4 has been released so she can continue to play her favourite games. As far as I know, there are no differences between the different platforms, and figurines are cross-platform compatible. Being into video games and having a couple of daughters, you would assume there would already be several Disney games in my collection, but that’s not the case. Disney video games, like movie tie-ins, are known for being mediocre at best. 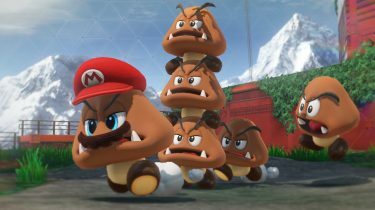 I really wasn’t holding much hope for Disney Infinity prior to launch, as I figured it would simply be another sub-par game that would cost a fortune in the long run. I had intentions on trying to keep this game out of sight from Addison, as I knew she would want the figures more than anything else. 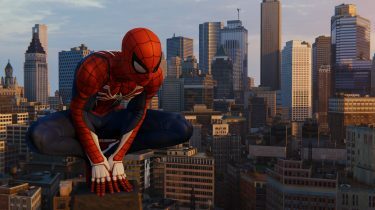 Thankfully, Disney Infinity has proven to be one of the rare stand-out Disney games, and with such a massive arsenal of franchises to tap into, this truly are seemingly endless possibilities.